.com is still the most popular TLD in 2018. 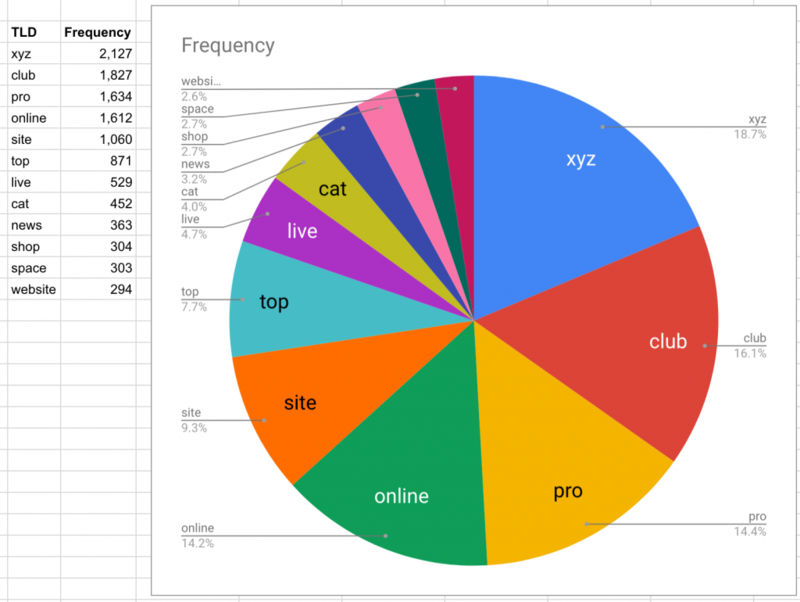 New TLDs like .xyz and .club and .pro are becoming more popular according to alexa rankings. 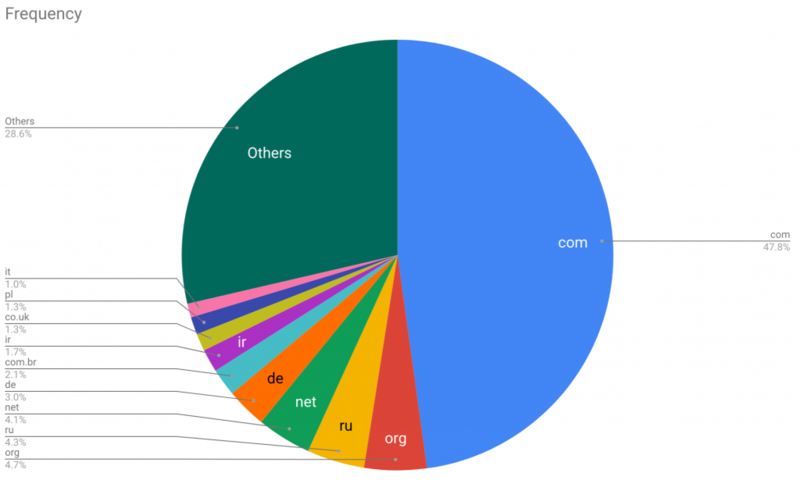 Despite the growth, .net .org and other traditionally “2nd tier” domain extensions are still more than two times as popular as these new names. Note: TLD means “top level domain” that’s the .com part you see at the end of a website. For example the TLD of hayksaakian.com is the .com part. It’s not always so simple, in the UK with a website like dailymail.co.uk their TLD is .co.uk. 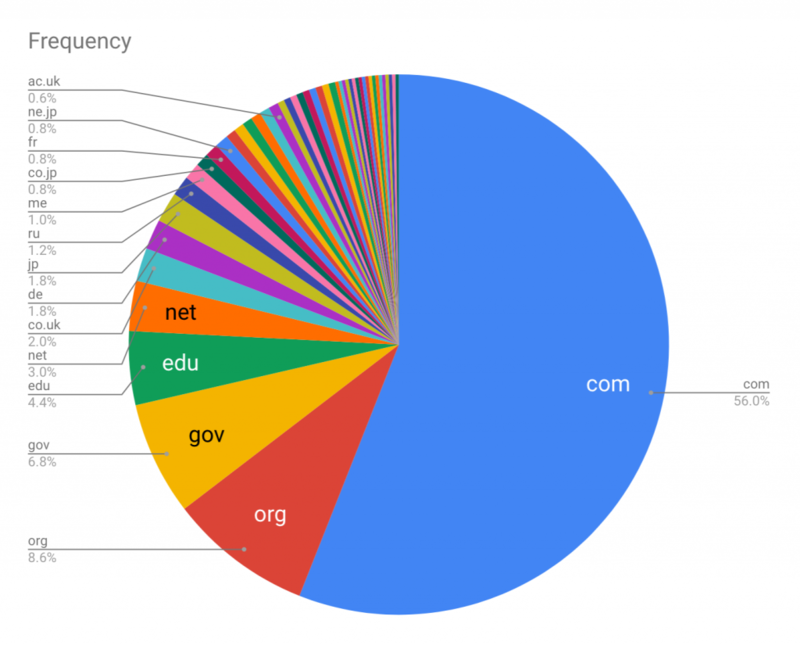 I analyzed the top million websites to see which top level domains were the most common. Country specific TLDs like .ru .de and .com.br are growing quickly, with .ru actually beating out .net among the world’s most popular 1 million websites. I found 2142 different top level domains among the Alexa top 1 million. Despite the numerous options, about 48% of the top 1 million were still .com domains. Clearly there are many more top level domains in this “long tail” of 286 thousand “others”. 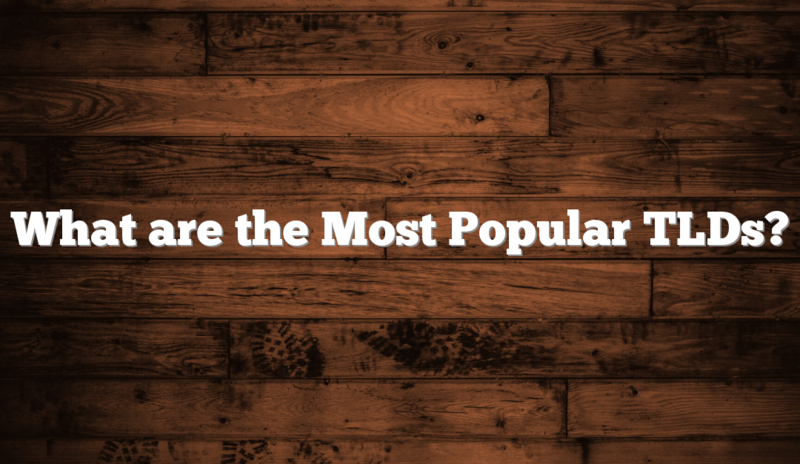 One measure of popularity is numbers of results in Google. You can find these numbers yourself by performing a “site colon” search. For example, “site:.edu” will reveal the number of education specific domains. I checked the 20 original and historical top level domains and organized them by numbers of search results found in Google. This methodology was originally designed in 2006 by Bill Slawski. I analyzed their list of 500 websites and measured how often each type of TLD shows up in that list. This pie chart demonstrates how often each TLD appears. Staying consistent with every other measure of popularity: 56% of the top sites still use a .com domain extension. 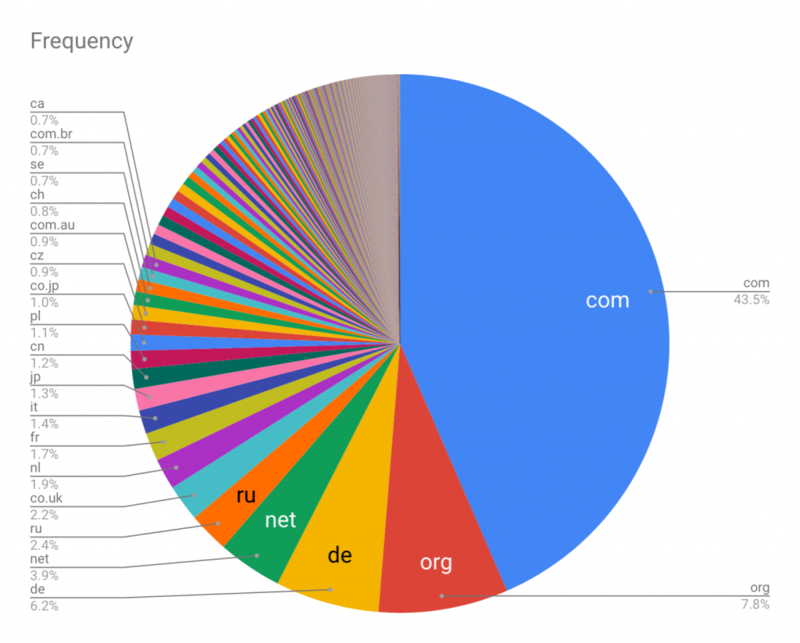 Coming in at #2 is the .org TLD with 8.6% of the domains from top sites. Unlike the Alexa 1 million, the moz list shows a higher share of .edu and .gov domains at the top of the list, at #3 and #4.
ahrefs is an marketing technology company that is well known for having the deepest database of links after the likes of Google and Bing. The ahrefs Top 1 million list represents the most powerful websites on the internet, measured specifically by links from other websites. Websites with more links from other websites are ranked higher. Overall, this list is largely similar to the alexa top 1 million list. Interestingly, ahrefs has a higher representation of .de domains compared to .ru domains — the reverse of the alexa alist. Namecheap is one of the world’s largest domain registrars. Since they sell domains, Namecheap has valuable insights on which domains people are purchasing most frequently. From new top level domains, alexa rankings reveal the most popular options among well known websites. Surprisingly .xyz comes in at #1 with 2,127 domains. Note that this table does not specifically look at the “other” category. There must be several thousand other websites using new top level domains among the long tail of 286 thousand other tlds. As we can see many professional are moving towards .io. What do you think about .io? means can it replace big guns i.e. .com or .net in near future?. I don’t think .com will ever be fully replaced due to the historical significance, but .io is getting pretty popular. With the new .dev coming out, it’s covering a similar customer demographic too.